The First Aid Only Water Jel Heat Shield Blanket is composed of worsted wool, with an intercellular weave which is capable of absorbing up to 13 times its own weight. 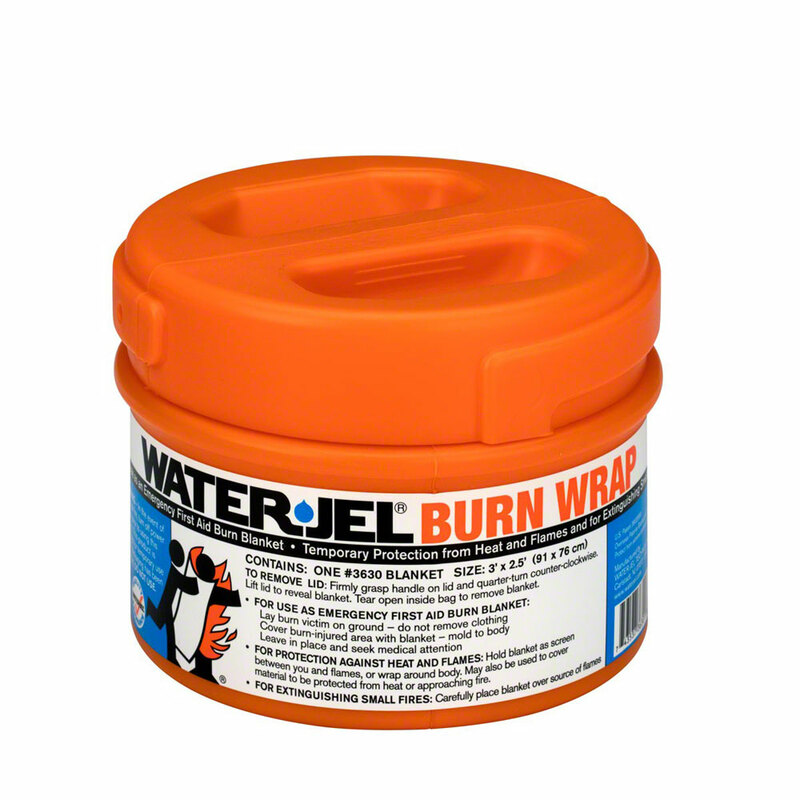 The biodegradable, bacteriostatic, and water-soluble gel helps to extinguish the flame, cool the burn, and help stop burn progression and pain. Use the Water Jel Heat Shield Blanket to stabilize the patient and help to prepare them for transport to a burn center or ER. Packaged in a convenient orange canister.